The Story of Kombucha... - Free Spirit & Mind! ← What’s for Dinner & Toddler Approved! 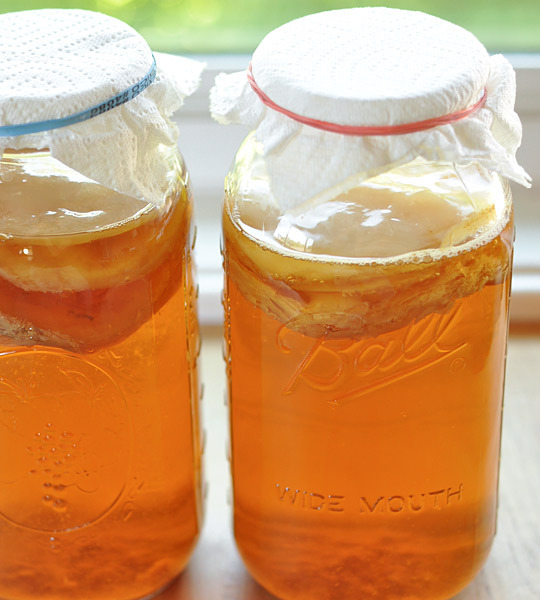 Kombucha (Naturally derived Probiotic drink) is the final product of fermenting a Scobie (symbiotic colony of yeast & bacteria) in a sweetened tea drink for a number of days. Kombucha has been noted to help with warding away sickness, major illness, Cancers & even Longevity! Instead of taking probiotics you can simply sip on kombucha through out the week! Kombucha teas can contain up to .05% alcohol (not nearly enough to drunk off of & safe for children in regulated doses). The Doctor decided that he would travel to more of Russia & even parts of Asia to see if other villages were making this same drink. After years of traveling, traveling from Village to Village, talking to villagers & other village Doctors, the Doctor concluded that it must be the Kombucha that was keeping his Village so Healthy… Because in his travels the Villages that were not making this fermented beverage were high in sickness, disease & cancers & lived normal or short lives… Yet the Villages that were making the tea beverage we lacking these diseases & not to mention that these Villages who were drinking the Kombucha experienced Longevity. This is just one story about Kombucha, from my research Kombucha has been around for a while (thousands of years) but the health benefits were not discussed until the early 1800’s. 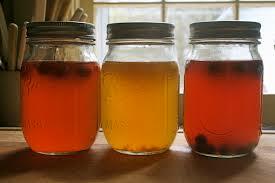 Recently Kombucha has been brought to the states & has been a big hype. Finally people are catching onto this great beverage with Amazing Health capabilities. This entry was posted in Home, Home Remedies, Natural Living and tagged fermented beverage, fermented drinks, health benefits, kombucha, kombucha history, natural probiotics, natural wonders, Organic drinks, probiotics. Bookmark the permalink.